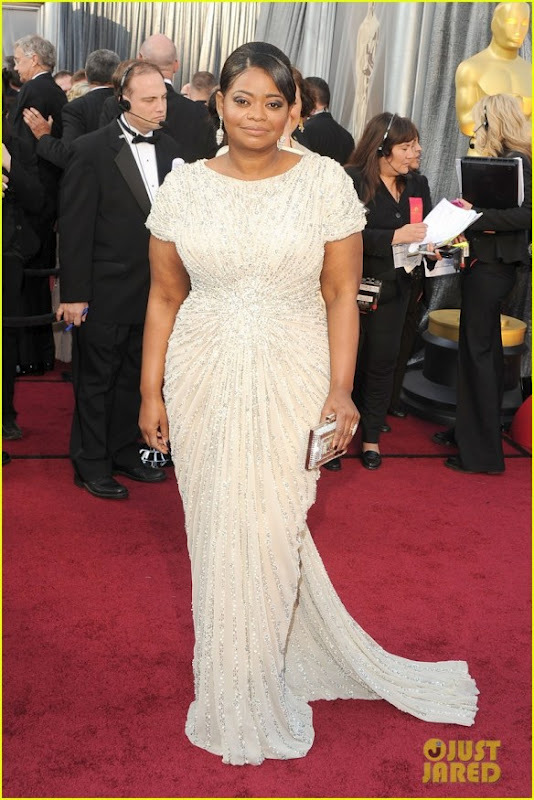 Oscar Fashion, love it or hate it. In case you haven't seen some of these gowns yet, and if that's true, I'd have to ask what the heck have you been doing!?! Here's a little re-cap of the real fashion night out, the gowns of The Oscars. Angelina Jolie in Atelier Versace. I thought this was a beautiful dress, of course I'm a lover of black dresses, not to mention those Salvatore Ferragamo peep-toes. Supposedly she was also wearing 2.5 million worth of Neil Lane Jewlery. No necklace or bracelet, so maybe 1 million an ear lobe and a $500,000 ring? What a shame we couldn't see that kind of bling! Usually nothing but positive comments are made regarding how gorgeous she is and I agree, although I could have done without the awkward stick out the leg pose . But most of the comments today are focusing on how stick skinny Angelina's arms looked and that's with the 10 lbs the camera adds. I heard there was an In and Out Burger truck outside the Vanity Fair party hope she had one, or ten. Gwyneth Paltro in Tom Ford, Rooney Mara in Givenchy, Milla Jovovich in Elie Saab. Nothing like the powerful statement of RED. 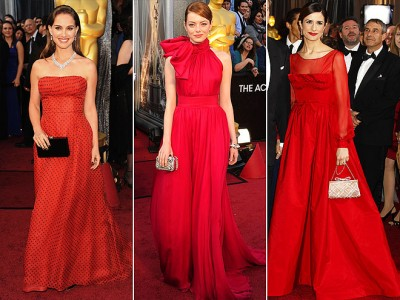 Natalie Portman in Dior, Emma Stone in Giambattista Valli, Livia Giuggioli in Valentino. Ellie Kemper in Armani Prive. This dress showed up on a bunch of the 'bad dress' lists, but I love the way she looked, probably because I'm a red head and I'd wear this color in a minute. I LOVE Melissa McCarthy, I didn't love the dress, but I was very surprised by one reviewers rude comment regarding her size, but his insult contained a typo so the laughs on him. Glenn Close in a Zac Posen, 64 and fabulous! The trim on this gown reminds me of Christmas tree tinsel. And I will never understand why flat chested women wear plunging necklines. Does anyone know? Really, Why? Sandra Bullock in Marchesa. I would have really liked this if the hip detail was a fitted waist detail. Someone said "stunning for a 47-year-old" what the heck! Guess he never heard 47 is the new 37. And last but not least a seasoned star whose red Zac Posen accompanied by Fred Leighton Jewels did not get enough fashion coverage last night. 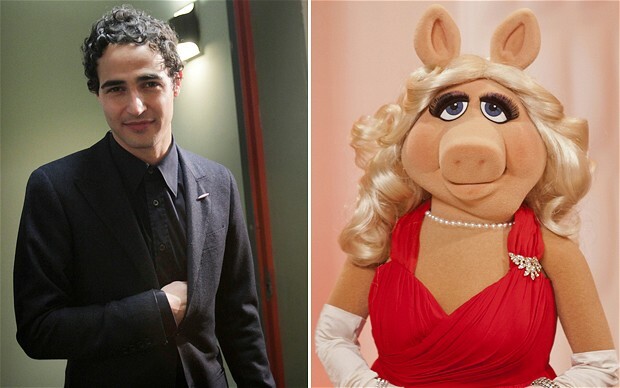 That's one Piggy that cleans up well, from Drabulous to Fabulous.